Hello Friends. Welcome in Altenew Stamps, Dies and Stencils January 2019 Release Blog Hop. I am so happy to te a part of his event. 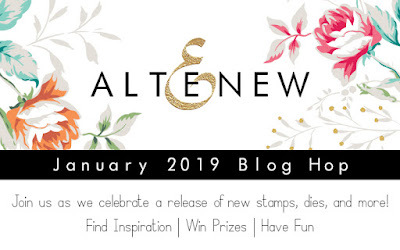 I am a big fan of all Altenew products and I always can't wait to every new release. And this one is AMAZING! You can find all the new products here. There are so many inspiring products that it was hard to choose only a few to work with. I created two layouts for you and two process videos. I hope you will find them interesting. If you came here from Therese Calvird's blog, you are in the roght spot. If not, start at Altenew Card Blog to join the fun. 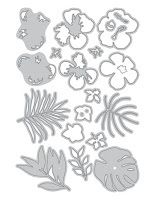 I used "Hibiscus garden 3D Die" set to cut all the leaves and flowers. I also used Watercolor Brush markers Set "Winter wonderland" to create mixed media background. Here is the video, where you can how this LO was made. My second project is another layout, with mixed media background. I used cooridinating stamps, dies and stencil to make it. I used "Wonderland" stamp set, "Wonderland" die set and "Wonderland" stencil here. Your next step is Nicole Picadura's blog. Beautiful layouts your work is so amazing! Thanks for sharing this beautiful layout. Your layouts are beautiful. Very refreshing to see a video on scrapbooking. I need to go back to making them! It's so great seeing page layouts when most of the others are making cards. Love these spreads. So pretty. Really pretty. Always love seeing your layout designs! 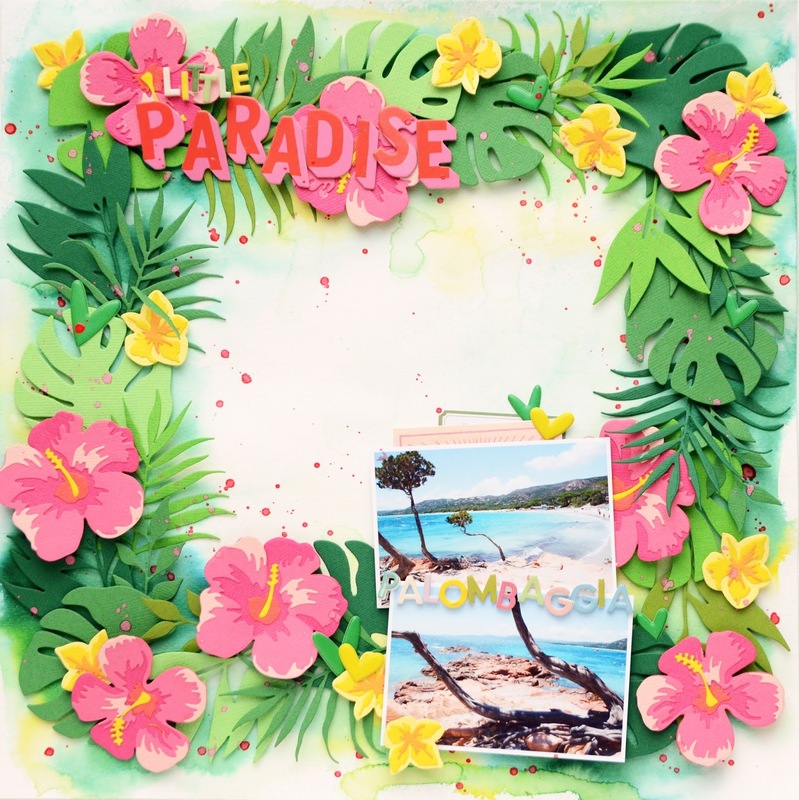 Your scrapbook page layouts are dazzling! I don't scrapbook, but I do art journaling, and you have inspired me with your beautiful works! Beautiful layouts!! The Hibiscus 3D Die flowers is wonderful and I love love love the colors on the Wonderland layout. Though I don't create layouts, I do appreciate beautiful ones like yours when I see them! Lovely layouts!! Such pretty flowers. What a beautiful tropical flower page! Reminds me of summer to come! Your layouts are truly amazing---beautiful work! I am absolutely crazy about this stunning release! Love the beautiful flower stamp sets, and especially the Garden Picks 3D dies. Your layout inspiration is amazing! Beautiful layouts! They're so vibrant! Beautiful layouts!! They're so bright and cheerful. Fabulous layouts - they are both stunning. I love the artsy/water colour look of the poppies, and the hibiscus are just so beautiful!!! Every time I think I have enough flower stamp sets, along comes a release like this one! Thanks for your wonderful scrapbook layouts. We don't see enough of these. Beautiful layouts! I love them! You’ve inspired me to start working on those 12x12 layout again! Beautiful work! Such amazing LOs Anna! Love the new stencil/masks duos! Truth to be told I love everything in this release! Thanks for the inspiration! Jaw droppingly beautiful layouts!!! Love them both!!! If that 3d hibiscus wasn't already at the top of my wishlist, you'd've pushed it up there with that amazing and gorgeous layout!! Your layouts are gorgeous! So full of life and beauty! Very pretty scrapbook layouts. Thank you so much for sharing. WOW! Your layouts are absolutely gorgeous! I agree with you that the flowers you used for your second layout look like poppies. Thank you so much for some fantastic inspiration! Your layouts are wonderful. Thanks for the inspiration--I need to be more daring with mine. Thanks for sharing such a beautiful layout! Your layouts are gorgeous. The Hibiscus page is one of the prettiest I have seen and didn't think the next one could be better. But I was wrong. The second page was so beautiful. beautiful projects. thanks as always for sharing. Your layouts are AWESOME! And I must admit, while watching the second video, I thought 'what is she doing?" when you started the base painting. But in the end it is my most fave mixed media scrapbook layout EVER! Thank you for your amazing inspiration here today. Wow, gorgeous pages, love these vibrant colors! Absolutely gorgeous layouts! Love the tropical themes and colors. That hibiscus border looks amazing, and I am totally smitten with the second layout, those flowers are just stunning! These are fantastic! I really enjoyed the videos and watching these layouts come together. I really like all the dimension and elements and techniques. WOW Anna! These layouts are gorgeous! I love love love the colors and dimension! Altenew makes the most beautiful products! Your scrapbook layouts are awesome. The tropical layout is gorgeous and very amazing with so many die images and the little girl in the second layout is darling. Thanks for the inspiration. Such pretty layouts! I love your choice of colors for the flowers! Your floral layout with all the reds is just gorgeous! Thanks so much for sharing and inspiring us! I'm a card maker, not a scrapbooker, but your floral layout is surely the most beautiful ever made. Both of your layouts are so beautiful! I am with you, this is one amazing release. Both happy and bright layouts!! Thank you Anna for sharing videos for you layouts, I always enjoy seeing your work. You have certainly rocked this release with these amazing layout. OMG I love the Hibiscus Garden 3D die set. This would be such a versatile set to have in anyone's collection. Simply beautiful work! Lovely work, the pink hibiscus has my heart! Awesome Release! Great pages, I especially love the Wonderland layered flowers page! Your layout pages are gorgeous! Really great layouts. Loved the way you did the flower border as it was so bright and cheerful. Thank you so much for sharing . These layouts are awesome! I love the second one. You are so talented!! Wow, how beautiful are these?! Both of your creations are amazing .. the fist so so pretty and usually I love the emblishment at the edges . But the colors of the 2nd one and the design is beyond amazing..
Amazing layouts, thanks for sharing! so fun! I luv the dimension!! love love your layouts, Anna - the hibiscus one is absolutely gorgeous! 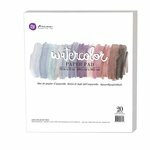 Thanks for showing how to use this for scrapbook pages. Those were gorgeous. Your Wonderland page is sooooooooo pretty. 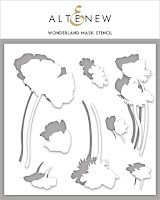 This set is indeed different than most of Altenew's because the main bigger flowers are "backward" facing. Even with that in mind, it is still a super great set. Your layouts are gorgeous! I absolutely love your Wonderland page! The colors are marvelous! Thank you for the inspiration!! Wow! the Hibiscus frame is gorgeous. And I love the artsy feel of the second layout. Absolutely stunning layouts! You inspire me! I love how you incorporated the photo on the first card. Oh WOW!! Both your layouts are just stunning!! This is a beautiful layout! I love these beautiful colors and this amazing arrangement! Wow, sooooo gorgeous!! The lushness of the Hibiscus and the brilliant colors of the Wonderland set layouts are stunning, inspiring and mind blowing! LOVE!! Love the colors on both of these layouts. Gorgeous layouts! I absolutely love the hibiscus flowers! Awesome colors and details on both of these gorgeous pages! Oh my wow! I’m new to your blog and love to see the use of stamps on scrapbook layouts! Can’t wait to see more and then go do the same myself! thanks for sharing. I love your wonderland card. The background is so pretty and love how you showed a scrapbook page. The flowers are versatile and love the size of them. Gorgeous pages. I love the bright colors and the layouts are amazing. Your tropical card is perfect for this cold, snowy day! Great uses of all the new flower sets! These are just so stunning. A beautiful job creating these pages. Your flowers are super well colored. Wow! Your layouts are stunning!! You have created unforgettable layouts with your use of the Altenew products! Wow what really gorgeous layouts!!! Your layouts are so bright and happy and beautifully showcase the new products. Love all the gorgeous layering on the first. Thanks for sharing this inspiration with these fun products and the videos. Bright and happy colors!!! Love both layouts! Wow! Love how bright and vivid the colors are! Your layouts are gorgeousa!!! And I love the brilliant color in them. I can see that this new product line will be great for my cards and scrapbooks!!! Thanks so much for sharing. Beautiful layouts! I didn't realize how big the hibiscus flowers and leaves were until you die cut them. The second scrapbook page you created is my favorite! Watching you create the background was amazing and I love the red flowers! Such beautiful layouts. I really love the hibiscus, so colorful. TFS! Just gorgeous creations!! I adore the ink technique you used. Great layouts! Beautiful bright colors! Oh my goodness---I already love the 3D dies from Altenew, but you made me love the new ones even more with that layout--GORGEOUS! Beautiful layouts!! I just love the 3D Hibiscus page with the awesome bright colors. It makes me want to hop a plane and go to the islands right now!! I really love these layouts! 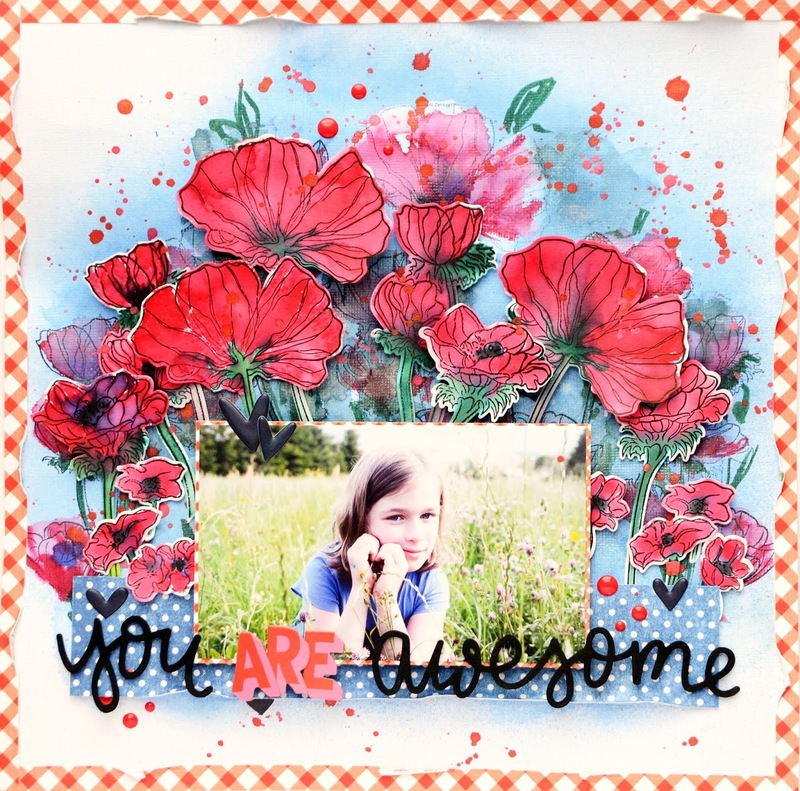 I love your scrapbook page layout using Wonderland Stamp Set, Die, and Stencil. Sooo beautiful. This is my Favorite set from this release! !.